Calle 24 esquina 10 Av. 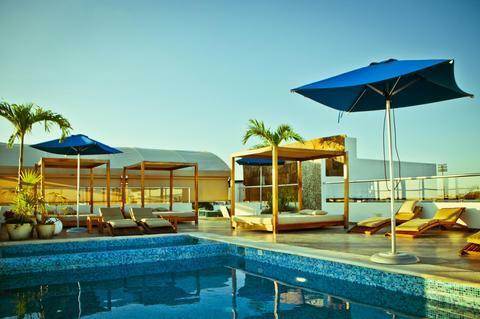 Located on the 4th floor of the SOHO Playa Hotel the rooftop pool offers panoramic views of the Caribbean Sea. The outdoor walk-in pool is covered in mosaic tile and features soft chaise loungers, large shaded day beds, a ceramic tile pool deck, sun umbrellas, shade planters and trees, and pool side yoga classes "alfresco" . Check with the hotel staff for a monthly calendar of classes.